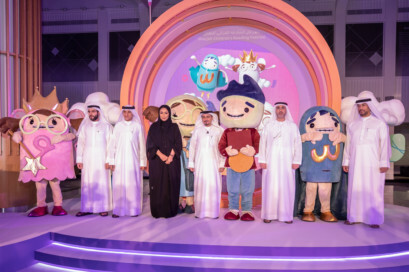 Sharjah: The 11th edition of Sharjah Children’s Reading Festival (SCRF) is coming back to Sharjah Expo Centre on April 17 to capture imaginations and delight cultural enthusiasts with 2,546 activities featuring 198 guests from 56 countries. 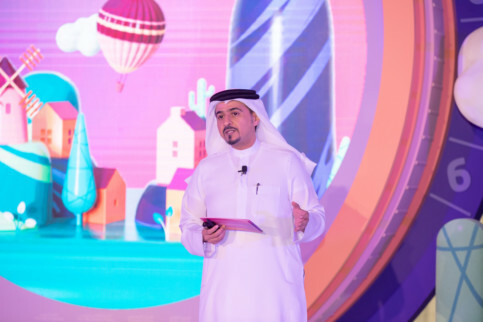 Under the theme ‘Explore Knowledge’, the 11-day reading festival dedicated specially to UAE’s children and youth, and organised by the Sharjah Book Authority (SBA), will be hosting a series of film screenings and international theatre shows, in addition to showcasing a multitude of publications by 167 publishers from 18 countries who will be participating at the event. The event is behing held under the directives of His Highness Dr Shaikh Sultan Bin Mohammad Al Qasimi, Member of the Supreme Council and Ruler of Sharjah, and the patronage of Shaikha Jawaher Bint Mohammad Al Qasimi, Wife of His Highness the Ruler of Sharjah and Chairperson of the Supreme Council for Family Affairs (SCFA). Khoula Al Mujaini, Director of Fairs and Festivals at SBA, shed light on the series of workshops, competitions and activities that will be organised at this edition. She pointed out the SCRF consolidated its position as a platform for children and an incubator of their talents and skills. Al Mujaini revealed that a host of renowned Arab artists, authors and intellectuals, including Abdelrahman Abo Zahra form Egypt, Qamar Al Safadi from Jordan, Haifa Hussein from Bahrain, Shaimaa Saif from Egypt, Falah Ahmad from Iraq, Amani Al Baba from Palestine, Yacoub El Sharouni, Hafedh bin Dhaifallah, along with Nora Al Noman, Dubai Belhoul and Mariam Al Zarouni from the UAE, will be participating in SCRF 2019. This year’s edition of SCRF will be hosting two new exhibitions for the first time. ‘Traveling the Silk Road’ exhibition will be a gateway for visitors to the most celebrated trade route in history; the Silk Road, which extends from the far east, China through the cities and empires of Central Asia and the Middle East. The exhibition will feature 176 activities. SCRF 2019 will see activities galore – 50 cultural events by 76 guests from 26 countries. The Children Activities agenda is bursting with variety with 1,806 of them being conducted by 59 guests from 21 countries. Also, on offer are live stage entertainment – theatre shows and plays – at the ballroom hall theatre in Arabic, English, Hindi and Urdu. The most sought after of these shows are ‘Al Qatawa’ theatrical performance, ‘Tomorrow’ adventure play, ‘Underwater’ stage show, ‘Cosmic Explorers’ show, ‘Augmented Magic’ show, ‘Chaca Chhakkan in Action’ play, and the ‘Big B’ play. A ‘Kids Café’ will bring talented children together who have attained remarkable achievements in literature, science or media. Meet and greets with Arab chess champion Sultan Al Zaabi; the youngest Arab journalist Durar Al Muraqeb, the novelist Anfal, the writer Dhaher Al Muhairi, the writer and playwright Taif Al Dhafiri, the Pakistani TV anchor, public speaker and singer Tawasul Shah, and software developer Aadithyan Rajesh, will be organised. The Festival is supported by a host of sponsors and partners including Etisalat (official sponsor), Sharjah Broadcasting Authority (official media partner), Abu Dhabi Media (media partner) Sharjah Expo Centre (strategic partner).